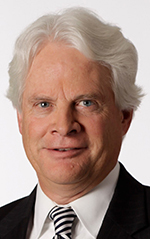 National law firm Dykema has announced that an attorney of its Bloomfield Hills office, Dennis Haffey, has been inducted into the American College of Trial Lawyers. A member of the litigation department, Haffey specializes in complex business litigation for plantiffs and defendants at trial and appellate levels of state and federal courts, as well as arbitration and other forms of alternative dispute resolutions. He has also served as the director of the litigation department at Dykema, its executive committee, and was a managing member of its Bloomfield Hills branch. Founded in 1950, the American College of Trial Lawyers consists of successful trial lawyers in the United States and Canada. To be considered for a fellowship, lawyers must have a minimum of 15 years experience. Attorneys should also have experience in dealing with diverse backgrounds, as well as holding the highest standards of ethical conduct, professionalism, civility, and collegiality. For over 10 years, Haffey, of Bloomfield Village,has been named annually in law publication, Chambers for USA America’s Leading Lawyers for Business and Best Lawyers in America. He has also been named Lawyer of the Year by Best Lawyers in America. Haffey received his juris doctor degree from the University of Michigan Law School.